Honey Bee Weddings: Trashing the Dress is really just an excuse to wear your dress again. Trashing the Dress is really just an excuse to wear your dress again. Admit it, you have thought about putting the dress back on. I have. 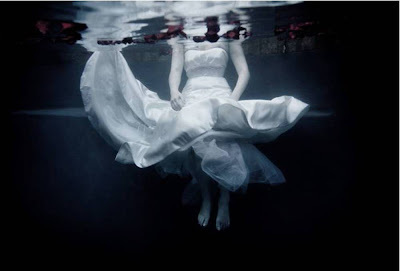 A great way to do that is to have a TTD aka Trash the Dress session with a photographer. TTD has different meanings to different brides and photographers. If you are considering, here is a slideshow for some inspiration. Some local photographers that offer TTD sessions include Kevin Weinstein, Thorsen Photography and Becky Hill. I saw this on the Today show. I think it's a very neat concept, when else are you going to wear the dress again? Just so brides know, most of the time the dress isn't trashed enough to not donate it! Most dresses can easily still be donated afterwards!